Did you know that there are more than 40 species of plants native to Manitoba that produce edible fruits and berries? Some of these fruits are more obscure, but many of the most popular are my favourites - blueberries, strawberries, raspberries and the prairie specialty, the Saskatoon berry. Blueberries in particular have been described as a super food, but what most people don't realize is that all berries fit this description. 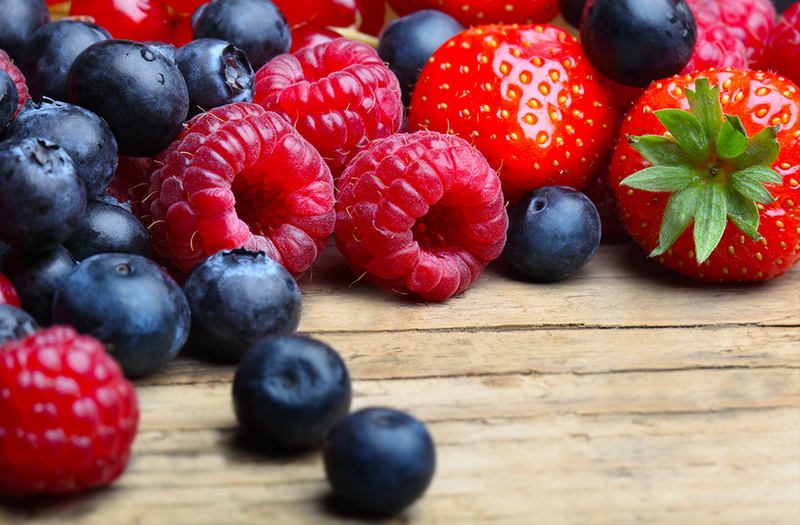 What makes berries super good for you? Blueberries: Blueberries pack a powerful punch when it comes to health and nutrition. They're rated one of the highest in terms of antioxidant capacity because they contain a group of phytochemicals known as anthocyanins, which are also responsible for giving blueberries their vibrant, deep blue colour. In addition to their disease fighting potential, anthocyanins may also work as anti-inflammatory compounds in the body. Health benefits range from reduced cancer risk, improved insulin response and increased heart and brain health. In fact, recent studies indicate that eating blueberries may prevent and possibly reverse some types of age-related memory loss. Blueberries are in season during July and August. Saskatoon Berries: Manitobans have been enjoying these reddish-purple berries for ages. The nutritional benefits they offer and beautiful colour are thanks to those same anthocyanins found in blueberries. As for disease fighting antioxidant capacity, Saskatoons rank right up there with blueberries. Research has shown that these dietary compounds may help against the development and progression of esophageal, colon, skin and lung cancer. Saskatoons are also known to be a good source of calcium and an excellent source of iron, providing nearly 25 per cent of the recommended dietary allowance in one cup. Strawberries: Bright red, sweet strawberries are favourites to many people and serve up a healthy dose of heart-healthy nutrients, including folate, vitamin C and potassium. In fact, one cup of strawberries gives you more than your total daily requirement of vitamin C. Higher intake of vitamin C from food is linked with reduced risk of cardiovascular disease and of course plays a role in immune function. Strawberries are also one of the best sources of ellagic acid, another powerful phytochemical known for its anti-cancer role. Raspberries: These luscious red berries are also a great source of ellagic acid and bring with it anti-cancer and anti-inflammatory characteristics. What's more, raspberries are also a rich source of lutein. Lutein, another potent anti-oxidant, protects the retina of the eye reducing the risk of age-related macular degeneration and cataracts. Lutein is also thought to guard against atherosclerosis, the build-up of fatty deposits in arteries that increase risk of having a heart attack or stroke. Studies suggest people who eat at least three servings of berries per week will see the most health benefits. With a little creativity, this can be an easy goal to achieve. One serving of berries is ½ cup or 125 ml. Besides eating berries by the handful, try adding them to a green salad, throw them into smoothies, or mix in with plain yogurt. Berries can also add a sweet surprise to savory meat, fish and poultry dishes. As well, Manitoba berries are a fantastic addition to muffins, fruit crisps, cobblers and a tasty topping to vanilla ice-cream on a hot summer's day. Most berries are in season during July and August and are readily available at farmers' markets and various roadside stands. You can also pick your own at any number of farms located throughout Manitoba. The exception is blueberries, which grow wild. When the Manitoba berry season comes to a close, don't worry. Frozen berries are as nutritious as fresh, and maintain their health-promoting qualities. So you can enjoy berries all year long because of the health benefits they bring. But if truth be told, I eat them because they are just plain delicious! 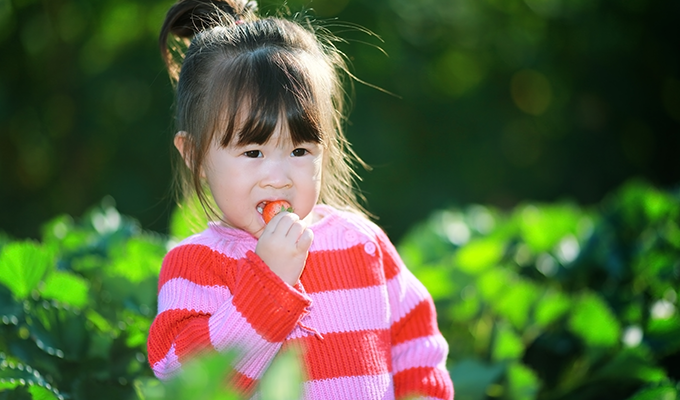 FYI: For information on berry picking in Manitoba, visit www.pfga.com/pick-strawberries.asp. Martina Gornik-Marion is a public health dietitian with the Winnipeg Regional Health Authority. This article was originally published in the Winnipeg Free Press on Friday, July 7, 2017.